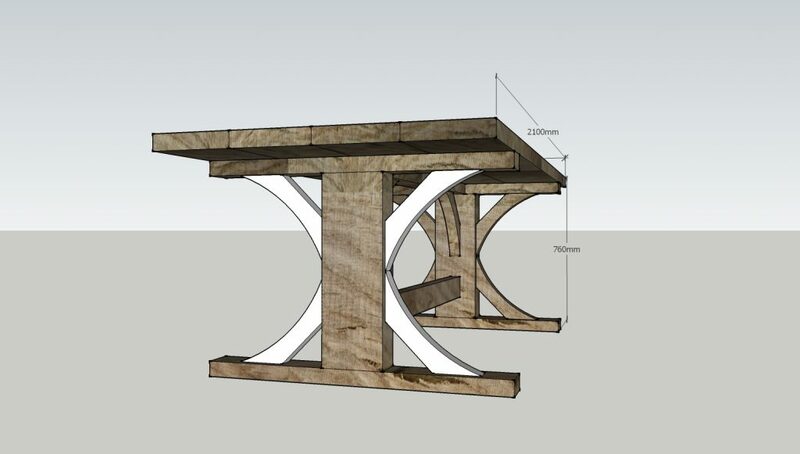 Ever wondered what goes into making a solid oak dining table? Here’s how we do it. Oak is more than just a building material. It can be a statement feature in your home. 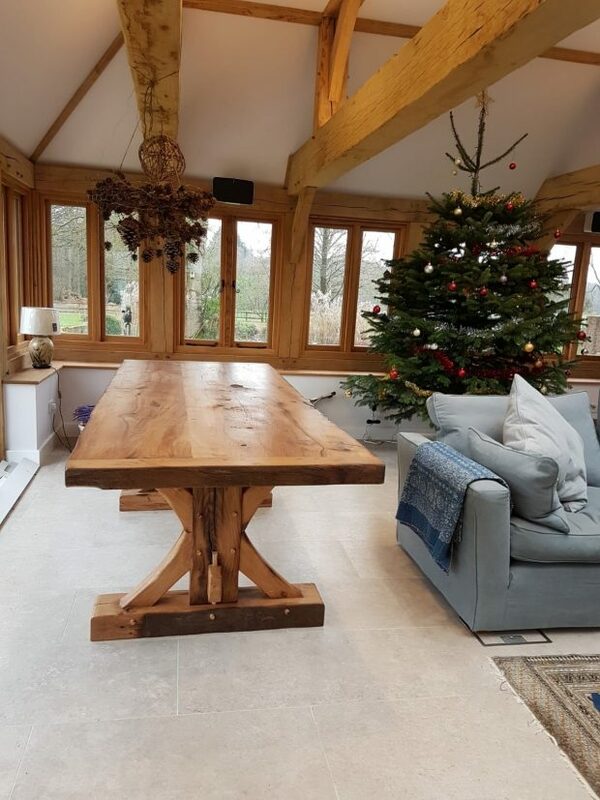 When one of our former customers wanted a solid oak dining table to match their TradOak extension frame they came straight to us. After an initial consultation, some rough three-dimensional sketches were created. 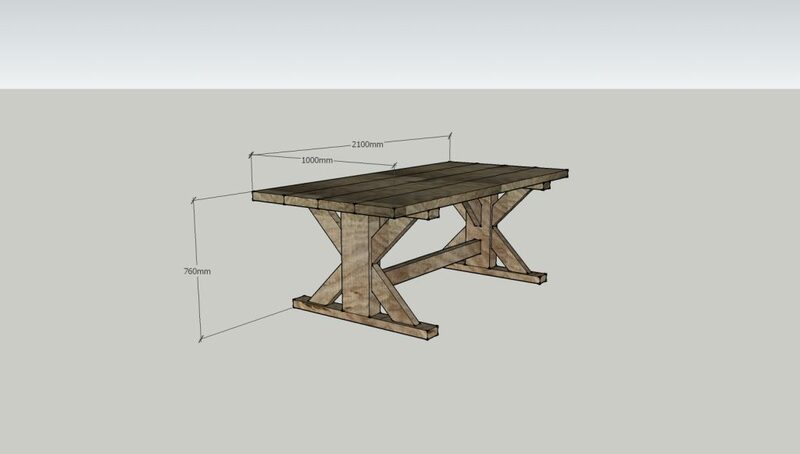 These are to show height and width but also to make sure diners can comfortably fit around the table with decent leg space. The most challenging part of the project was recreating the curved radius and to scale braces to match the braces in the extension trusses. It was vital the two tied together. You can see in these sketches how we worked with the client to narrow it down to the braces they wanted. 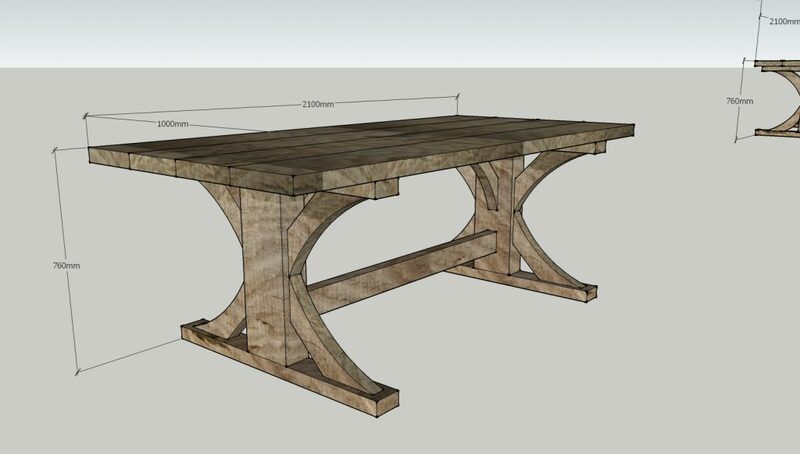 The table top was made from one beam, sawn, machined and then joined to create the width. ‘Breadboard’ ends to stop spread helped ensure it would be a lasting piece. 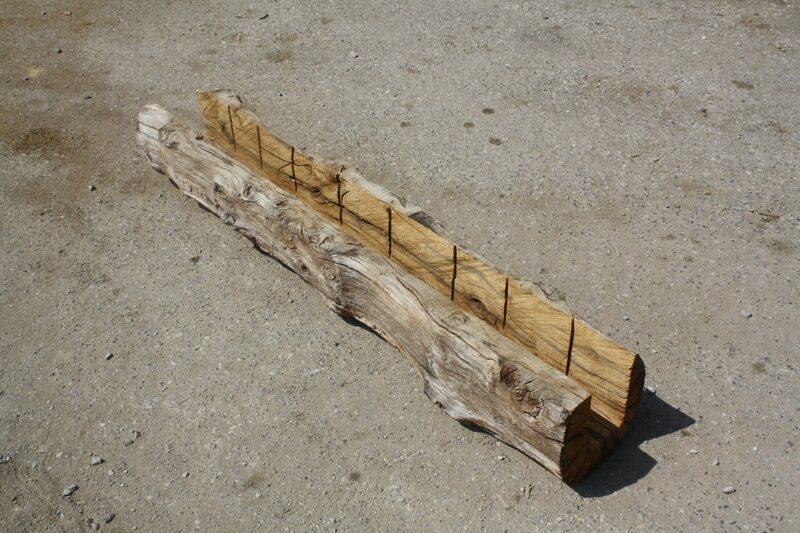 The base was made from reclaimed oak. It was sawn on all sides to remove the outside edges while still retaining the colour and character of older oak. This was then jointed and machined by hand so it could be sympathetically jointed with the top, creating the impression they had always been together. However, as the wood is reclaimed, it is not as simple as jointing two square, perfect pieces of wood together. Due to their weight, the table and base were supplied separately. This stunning table features sledged feet with curved braces. The long central brace at the bottom is tenoned through the leg and pinned with a large square pin. This means the two ends of the base can be separated for transportation. The top long rail was dovetailed into the top of the legs to stop any spread. Any large holes or cracks within the table top were filled and made good. This finish makes the table top as close to perfect as possible without losing the character and aesthetic of an antique. 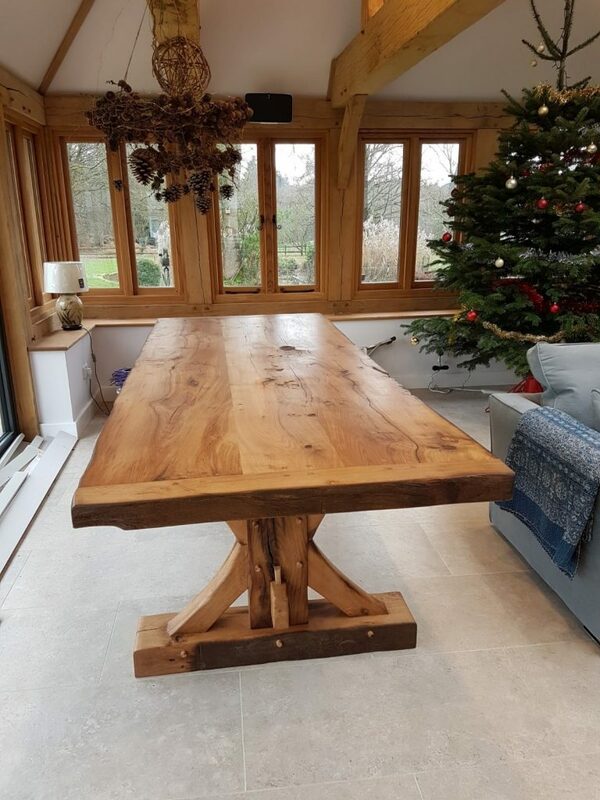 Whatever style or design you require TradOak can construct a customised oak table for you. Whether it is from reclaimed or air-dried oak, you can contact us for more information. Find out more about our solid oak dining tables here.